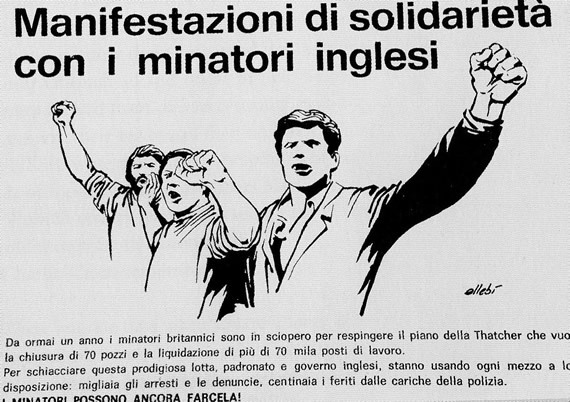 The 1984-5 miners’ strike continues to excite controversy and debate as well as new books. Hardly surprising this, as the strike was the last time when the Establishment’s grip on power was seriously challenged. The only way the miners could have won the strike, which the Tory government of Margaret Thatcher had provoked and long prepared for, was to bring the government down, to make it impossible for it to govern, just as they had done to the Heath government in 1974. Neither the Labour Party nor other union leaders were prepared to endorse that objective, involving as it would have done a struggle for power. Just as in 1926, the miners’ were betrayed by the official “leadership” of the labour movement. The strike however, did, at a deep level, change things, not least the lives and thinking of the 180,000 miners involved and their families, and the hundreds of thousands of individuals who joined their struggle in one way or another. 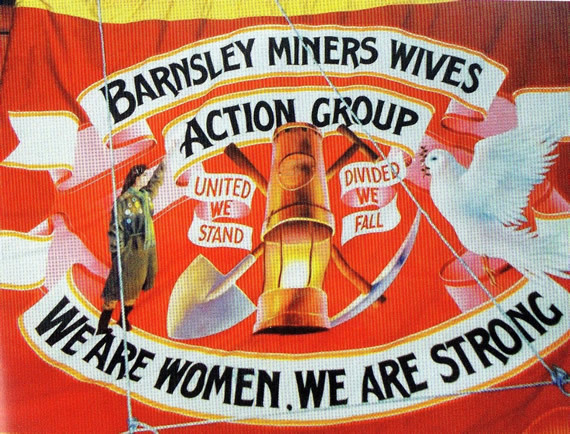 Nowhere is this better exemplified than in a new book From a Rock to a Hard Place; Memories of the 1984-5 Miners’ Strike by miner’s daughter Beverley Trounce. 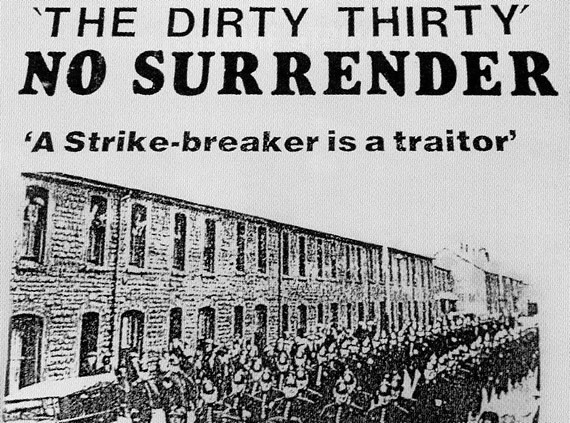 In Leicestershire, only 30 men joined the strike and were named the Dirty Thirty as an insult by the working miners. But the nickname was adopted by the strikers who, as the Dirty 30, became something of a local legend, and are celebrated in this book. 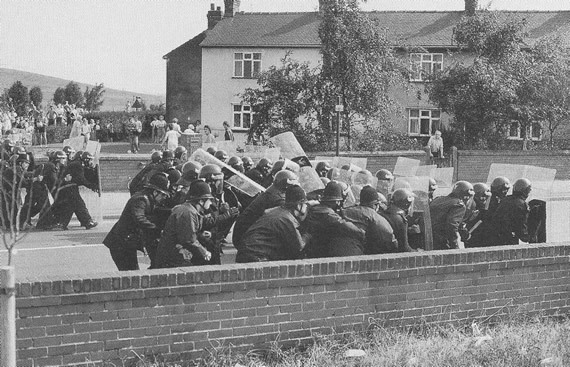 In the large coalfield of Nottinghamshire, less than a third of miners joined the strike. Here the working miners were persuaded by a few former officials of the NUM to set up their own alternative union, the so-called Union of Democratic Miners, which then took over, with the help of the courts, the assets of the local NUM including the miners’ welfares. This deprived the strikers of their base for organising the pickets and serving meals in the soup kitchens. It is these striking miners from the Midlands pits who are universally recognised by the great majority of miners from all over the country who were on strike as “the really brave ones”. Many of their stories are highlighted in the book. In spite of the shortage of money and all the difficulties that came with it, the miners given a voice by the author were all proud of what they did. They all had stories worth telling and shared a great sense of pride that they had stood firm for a principle and had experienced a taste of liberation. “We were fighting for everybody’s job, not just our own,” said one. In many cases they were arrested if they didn`t turn their cars round, and a number of them, in Yorkshire at least, had their windscreens smashed by the police while trying to circumvent the police road blocks in the surrounding lanes. Miners and their wives developed new skills in the struggle. They sought support from all over the country and learned to speak at meetings; they worked out how best to make collections of money in towns many miles from the coalfields. And amongst other things, they learned how to deal with police dogs (and make their handlers mad) by feeding them chocolate biscuits. As the author points out the strike quite literally opened up the horizons of everyone involved. Several women, she writes, “described how they felt as if they had been `sleep-walking’ through their lives up until the strike, never questioning their roles as mothers and homemakers”. Many women became the breadwinner for the family, increasing their hours if they already worked or by taking on new jobs. The government had stopped their benefits and the NUM could not afford strike pay for everyone. Other women got involved in the soup kitchens which sprung up in every pit village, or by raising funds and even helping on the picket lines. Not all the women supported the strike. Many of them resented the hardship and deprivation on behalf of the children, and would put pressure on their husbands, causing extreme stress in the home and, often enough, separation or divorce. Equally, when the wife or girl friend supported the strike, the relationship would be deepened. After the strike, many of the miners found new lives. Over 10,000 of them had been arrested and many were sacked. And as the government forced the closure of nearly all the deep mines in the UK throughout the 1980s and into the 1990s, turning thriving communities into centres of unemployment and poverty, tens of thousands found themselves without jobs. There were countless heroes of the strike, and the book pays tribute to them by highlighting the extraordinary stories of a few of them. Their memories remain vivid and through the book they speak openly and humourously about the hard times, the worries and the implications of what they did in 1984-5, with no regrets as they stay proud of their memories. And the fact is there are no books or poems celebrating the feats of the scabs; there are thousands about the striking miners. This book is among the best of them. 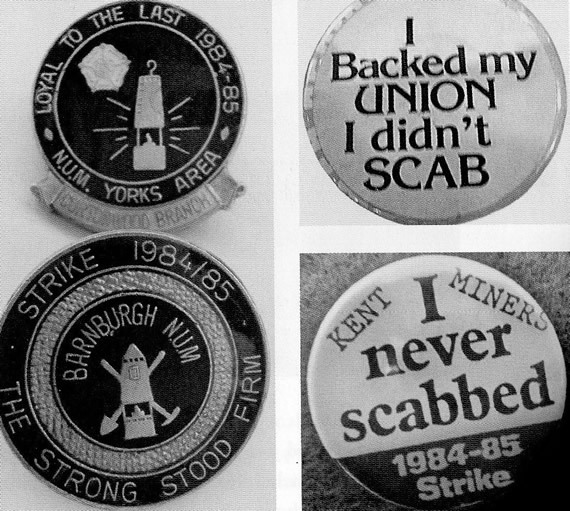 From a Rock to a Hard Place: memories of the 1984/85 Miners Strike, by Beverley Trounce. The History Press £12.99.